At Shadowcatcher Imagery, we LOVE sunsets! 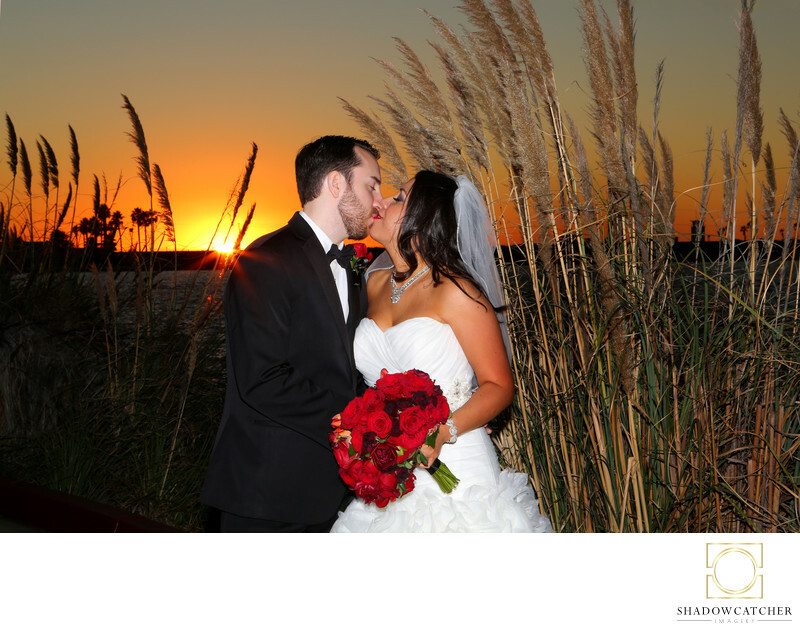 We do everything we can to get our couples a spectacular sunset shot if at all possible. We’ve come to consider ourselves specialists at it, working for a long time on lighting techniques that allow us to present the best possible image to our clients, one that most closely hits what they want to see, from a simple silhouette to a spectacular blazing sun setting in the waves behind them. This one was taken at Loew’s Coronado Resort, which is on the “wrong” side of Coronado to get a sunset. But we did it anyway! It’s tough to balance flash with the sun coming straight down the barrel of a lens, but our experience lets us do just that. This couple came from the East Coast to get married in San Diego, and we felt getting them that perfect San Diego Sunset was a must! Keywords: coronado wedding photos (3), Lowes coronado wedding photographer (3).